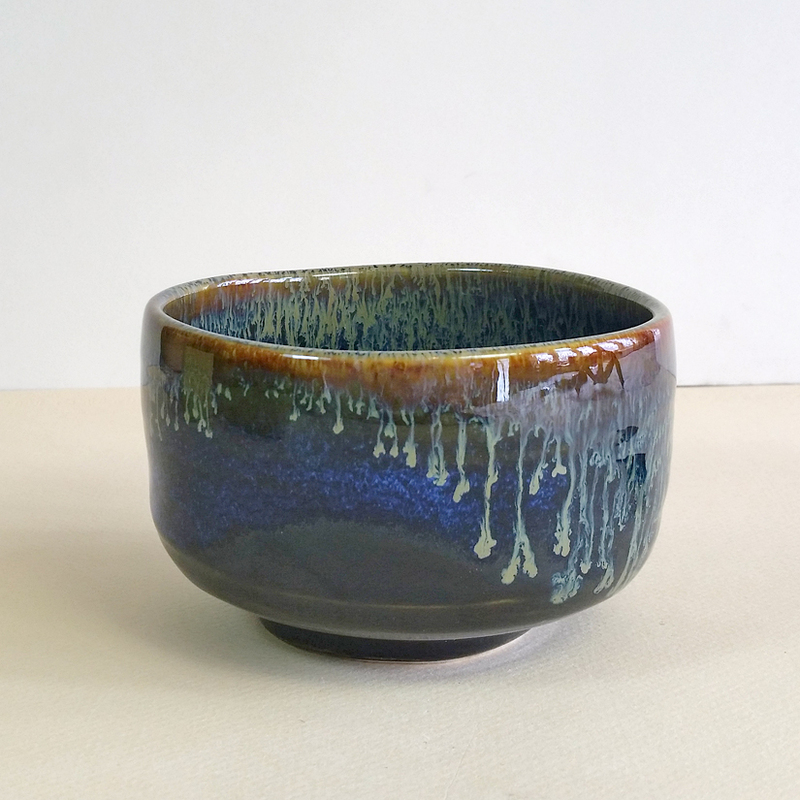 We couldn’t decide whether this chawan depicts the Aurora Borealis or Midnight in the Garden of Good and Evil, so we are stumped! 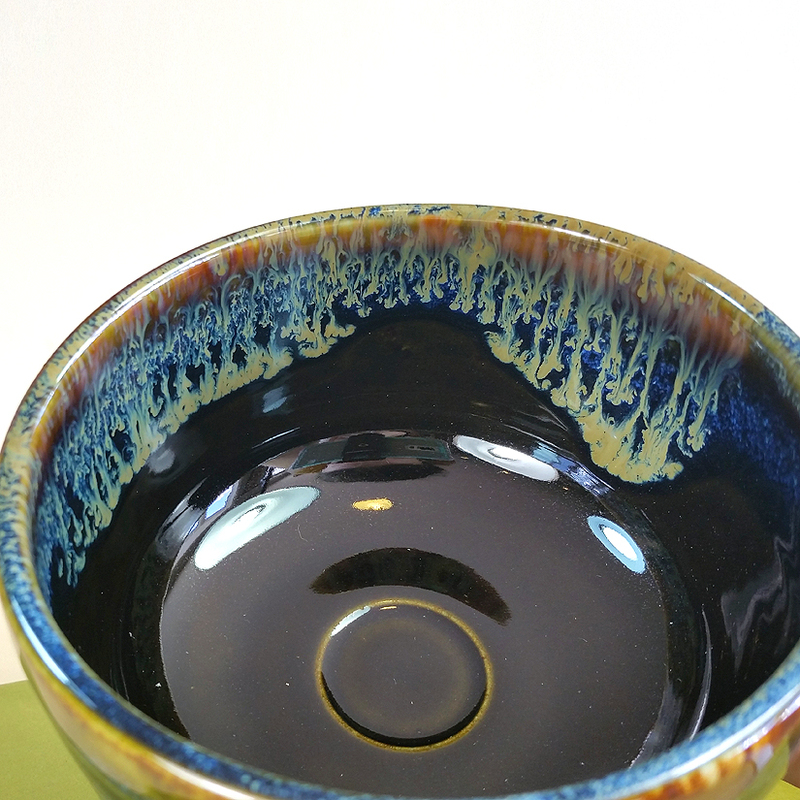 Whichever, – or most likely neither – it is a stunningly beautiful and boldly-colored tea bowl. Building on the strong brown background field, the midnight blue is exquisite. The potter’s idea of then allowing a contrasting trellis to drip down both the exterior and interior of the bowl is absolutely brilliant! When the matcha powder is whisked, the blue on the interior is almost completely hidden, depending on the particular bowl. So, as the matcha tea is drunk there is a ‘secret’ appearance of the blue glazing that reveals the ‘same’ blue already known to be on the exterior. What fun for the tea server to be able to play such a whim on a matcha drinker! 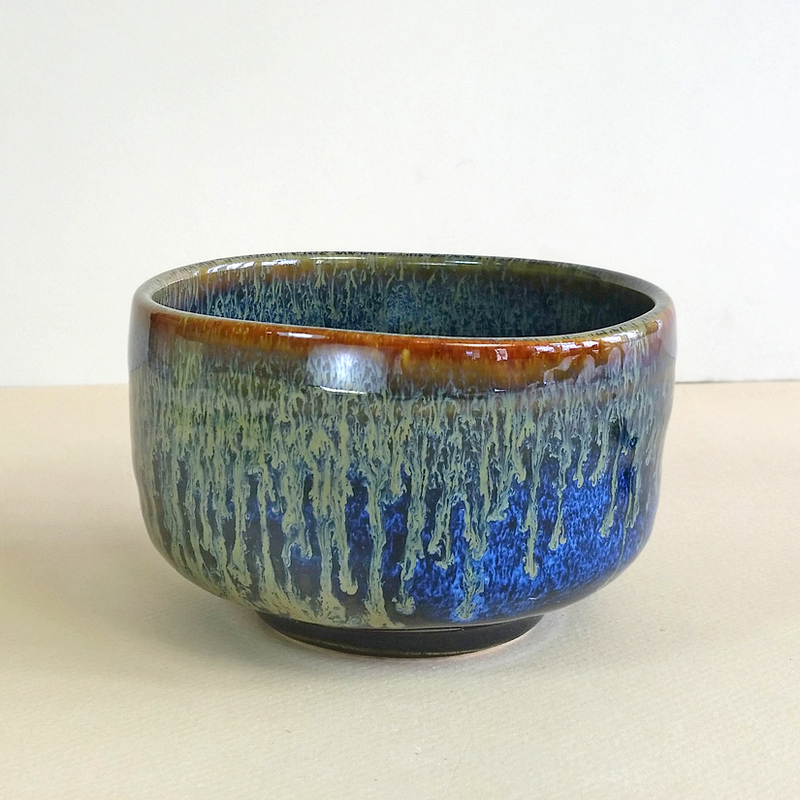 This tea bowl’s magnificent drip glaze emanates from the bowl’s rim and cascades in both directions over a nebulous and captivating dark blue.